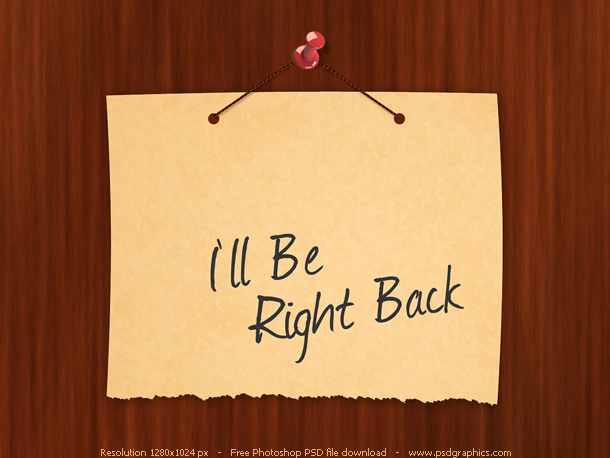 The Tracy Brown Chronicles: I'll Be Right Back! So, I must take a mini-vacation from blogging to bring you the stories you so anxiously wait for. 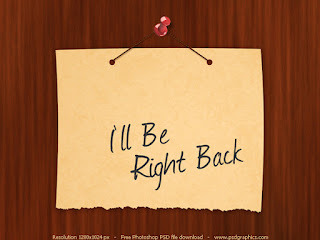 Please be patient, and know that I will be back with my opinionated commentary VERY SOON. GIRRLLLL WRITE THOSE BOOKS, WE ALL WILL BE PATIENTLY WAITING! THESE BLOGS I KNOW FOR ME JUST HELP ME AS I AWAIT! TAKE YOUR TIME AND DO WHAT'S BEST FOR YOU, THAT'S WHY YOURE MY FAV!!!!! Girl, we understand...that's why I read your blogs a week behind just in case you take a hiatus. We are good over here just keep writing my Jada and Born fairytale with a "happy ending". I love you girl and everything you write, I was just reading your blog "Listen To Your Mama" to my sister over the phone...she was cracking up. (c) Tracy Brown. Awesome Inc. theme. Powered by Blogger.